For those not familiar with Sonoma County, it is a glorious wine region sandwiched between the Napa Valley and the Pacific Ocean. Sounds like a dreamy place, right? It is. But unlike the wine country of Napa, Sonoma County is an expansive, diverse agricultural region with multiple microclimates and micro-cultures. My explorations led me to countless wine discoveries as well as new food experiences. As I have explored, it has occurred to me that I need to share my experiences with my local friends and colleagues and this is how I launched the WINE SALON concept. 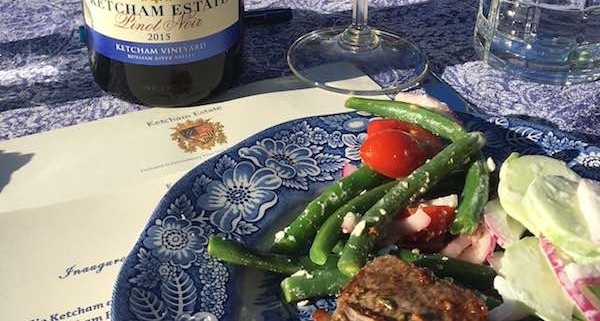 Not knowing if it would be a mad success or a flop, I invited some friends to come to the home of Allie and Mark Ketcham, who produce the elegant Ketcham Estate Wines. The purpose of the salon was, in this case, not to discuss literature or philosophy, (although in a setting where wine is the star, these topics often enter the discussion). I brought about my gathering to discuss spectacular microcosms of Sonoma County you weren’t likely to find in a guidebook or blog. With this first salon, the subject was Ketcham, of course, and the terroir of the Russian River Valley. And, of course the food. The key to any great gathering of minds who love wine is balancing that wine with food. I said potluck and Allie countered with “I’ll cook so the wines are paired well” and that she did. The first Wine Salon was a raving two hours and camaraderie, new friends, spectacular wines married with food. The following recipes are the creations of Allie Ketcham and Ketcham’s Director of Happiness Renee Graves. They are easy and quick yet more-than-satisfying. They are also a perfect starting point for creating your own Wine Salon at home. Of course, you’ll have to come up with the perfect guest list yourself! 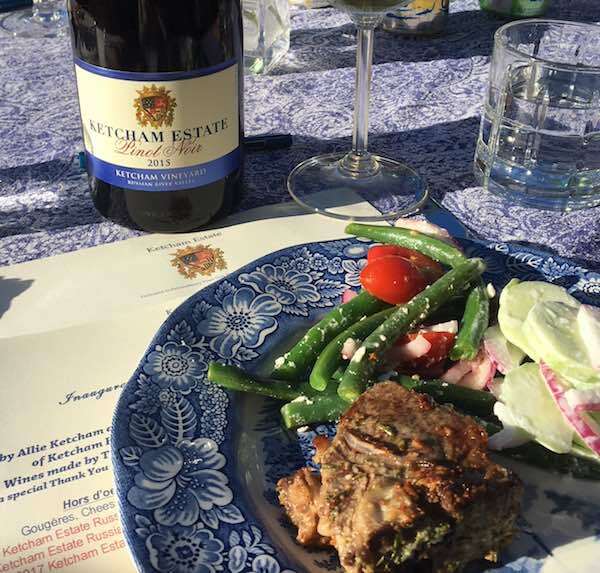 Go to www.ketchamestate.com for even more fantastic recipes and to order wines for your Wine Salon. How Can You Help Victims of the Napa and Sonoma County Fires?